The following morning rumours were spreading around the village about who was in the mystery party. Guesses circulating ranged from Stalin to Roosevelt. But they were all wrong, and it would be three weeks before anyone would know; a reporter from the Daily Mirror, who was at the station following a tip-off, was unable to publish his "world scoop" at the time, probably because of a government D-Notice. 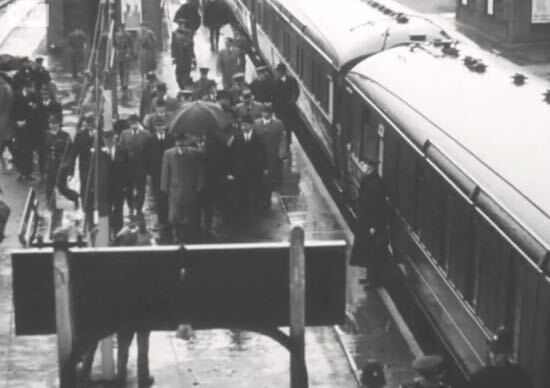 The politicians, accompanied by their close staff, climbed the stairs from platform two, crossed the footbridge, walked past the ticket office, and made their way up to Station Road where they were whisked away in a fleet of cars. Their destination was Chequers, 33 miles away, where they were to be met by Winston Churchill for the signing of the Anglo-Soviet Treaty. 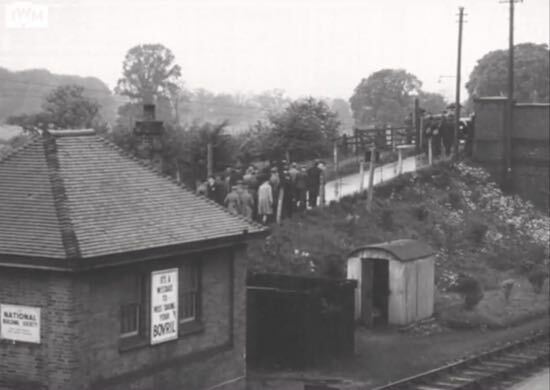 Our history site, the North Mymms History Project, has been researching the event from a series of sources including a newspaper report published three weeks later, video footage from the Imperial War Museum, and a reference to the meeting from a history text book. The result is a fascinating report entitled Top secret WWII Russian visit to Brookmans Park 1942.